Despite rhetoric refusing to understand the “so-called root causes of radicalization,” internal documents show Stephen Harper’s senior bureaucrats actually believed mental health issues are “often” one of its underlying causes. 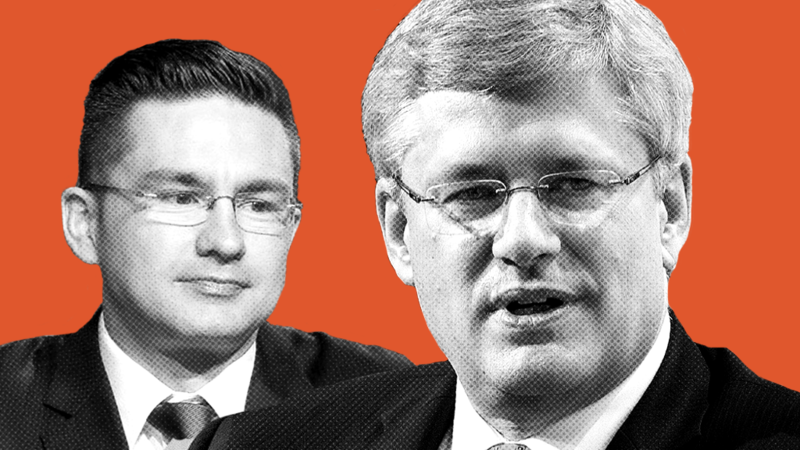 Documents marked “secret” obtained by PressProgress under access-to-information show top national security experts seemingly at odds with Harper’s hardline public rhetoric on terrorism. 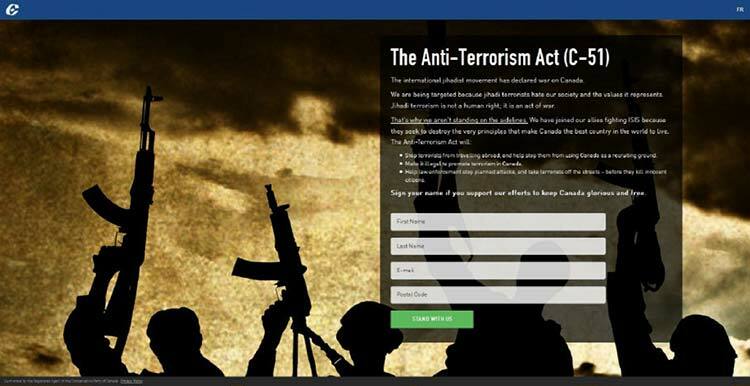 In the lead-up to the 2015 federal election, Harper’s Conservatives repeatedly worked to exploit fears on terrorism in their political and fundraising messaging – Harper himself directly referenced a pair of violent attacks in Ottawa and Québec in 2014 as justifications for the Conservatives’ controversial Bill C-51. Fadden, a former director of the Canadian Security Intelligence Service, was tapped as Harper’s top advisor on national security after the 2014 Parliament Hill shooting. Although Harper vowed not to “commit sociology,” a presentation drafted by Public Safety Canada shows his national security team explored ways federal partners could use social policy to collaborate on Canada’s counter-terrorism strategy. 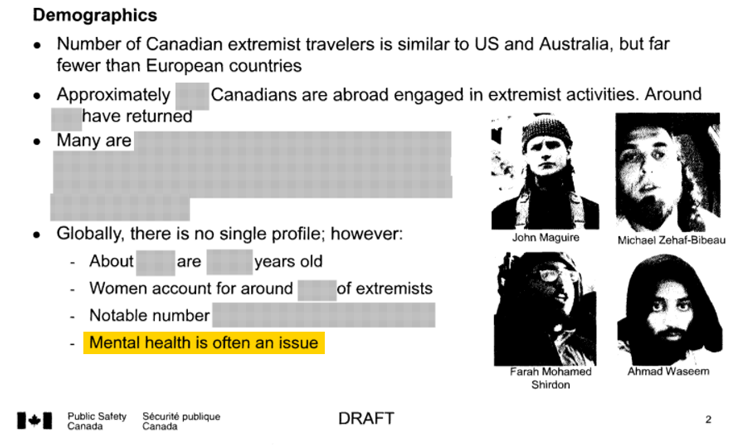 A partially redacted backgrounder on the “demographics” of violent extremists qualifies that there is “no single profile” but observes age and gender appear to be two important traits – the slide also includes photos of four young men linked to high-profile terror cases. Two days earlier in Québec, a man named Martin Couture-Rouleau killed Warrant Officer Patrice Vincent in a hit-and-run at a Saint-Jean-sur-Richelieu mall parking lot. A coroner’s report later concluded the attack had more to do with mental illness than radicalization. Harper’s government linked both attacks to global terrorism while Conservative MPs attacked NDP leader Thomas Mulcair for suggesting mental health issues appeared to be an underlying issue. In fact, behind-the-scenes, bureaucrats were committing sociology and searching for the root causes of terrorism. 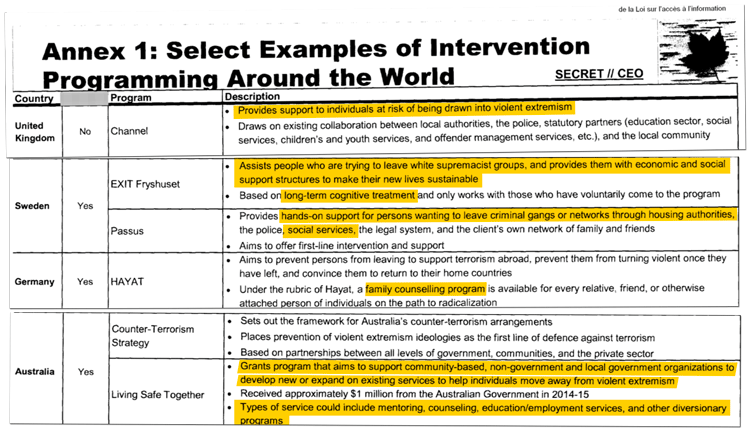 Yet the secret documents list several “examples of intervention programming around the world” that do exactly that, including programs in the United Kingdom, Germany, Sweden and Australia. The UK’s counter-terrorism strategy, for example, identifies at-risk individuals and provides them with individualized “support plans” – including “support from health providers or social care services” for “substance misuse or mental health issues” for individuals vulnerable to extremism. Earlier this year, the Québec Association of Psychiatrists called for a new approach to dealing with the intersection of mental health and radicalization. 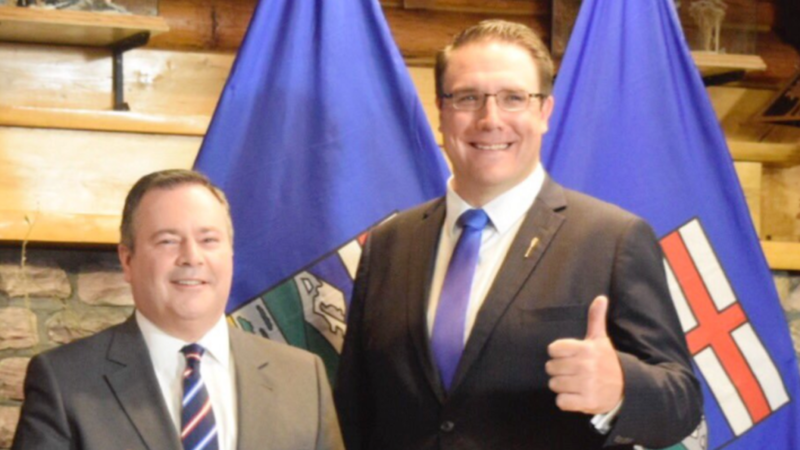 A company owned by United Conservative Party house leader Jason Nixon was fined by British Columbia’s Human Rights Tribunal for firing a woman after she complained she was being sexually harassed at work. First reported by the Edmonton Journal, the revelation is surfacing at the same time as Jason Kenney’s Conservatives are fighting new provincial legislation aimed at protecting women from workplace harassment.